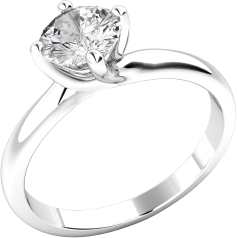 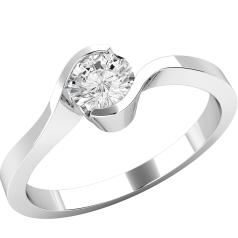 There are several features that contribute to the overall aspect of a single stone engagement ring. 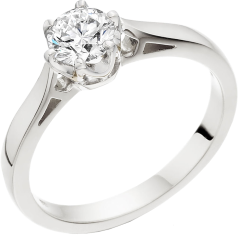 The first one is the gem, their hardness and dispersion of light make diamonds a beloved choice for engagement rings. 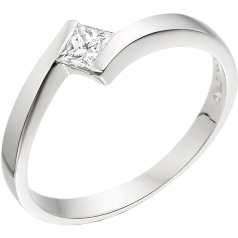 When buying a diamond engagement ring you have to look at the 4 Cs – Colour, Clarity, Cut, Carat-, the factors which ultimately influence the value of a diamond. 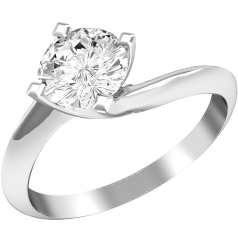 You can learn more about these characteristics if you read our entry on the four Cs in the Help menu. The shape of the diamond is another decision to be made. 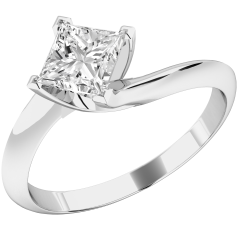 We offer single stone engagement rings set with the most popular shapes of diamonds: round Brilliant cut, Emerald cut, Radiant cut, Princess cut, Marquise, Pear-Shape, Oval, and Heart-Shape. 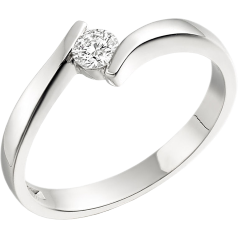 If you don’t know which shape would your partner like, you can look at other jewellery they have to see what their preferences are. The round brilliant cut is the most popular one; however, the Princess cut is catching on more and more. 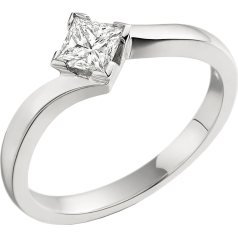 Step cut diamonds like the Baguette and Emerald cut bring the attention to the diamond’s clarity and were very popular during the Art deco period, so a single stone ring set with one of these stones can be a subtle nod of appreciation to the period. 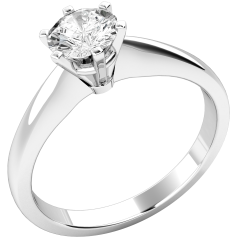 In case of a single stone engagement ring the focal point is that single diamond, which means that the type of setting in which it is, also gets a lot of attention. You can pick a ring with Claw, Bar, Rub-Over, or Tension setting. 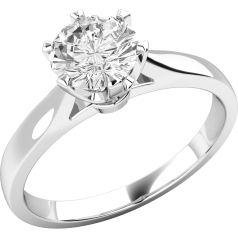 The ultimate classic is a round Brilliant cut single stone diamond in claw setting, but to select the perfect combination for your partner’s single stone engagement ring, you have to take in consideration their tastes and lifestyle. 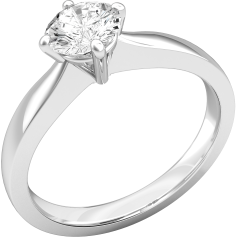 Our single stone diamond engagement rings are available in a selection of precious metals, like white gold, yellow gold, yellow & white gold, platinum and palladium.